A popular choice for spaces indoors and out, wicker furniture and accessories can provide years of comfort and enjoyment if properly maintained. Wicker furniture and accessories are very popular choices for living spaces both outdoors and in. Comfortable, sturdy, and attractive, wicker comes in a wide variety of colors and patterns, making it complementary of countless decorating schemes. A natural product, wicker is a weave of reeds and plant fibers and as such, it requires specialized care to looks its best. Some approaches may be used on all types of wicker, while others are suitable for either outdoor or indoor pieces only. • Remove any cushions and clean them separately, according to the manufacturer’s instructions, as proper care varies by fabric type. • Regular dusting with a soft cloth, microfiber duster, or feather duster helps keep any type of wicker looking great. • For heavier dust, use a small soft-bristled paintbrush; to remove dirt from those crevices where wicker meets the furniture frame, switch to an old toothbrush. • Regularly clean wicker furniture with the brush attachment of your vacuum, being sure to set the suction to its lowest level to avoid causing damage. 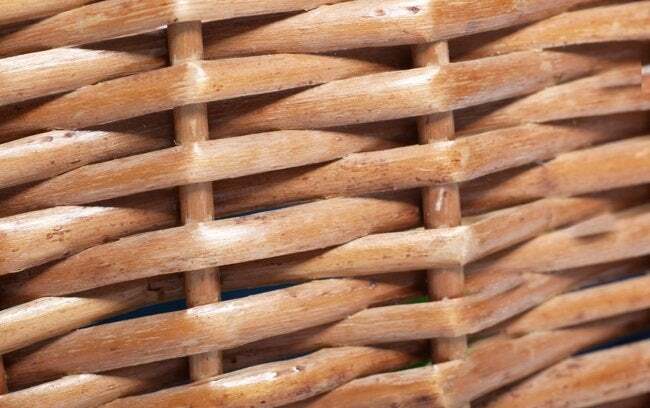 • Wicker pieces need a more thorough cleaning once or twice a year. Moisten a microfiber cloth or terry towel (or even a clean sock) with warm water, then gently rub the wicker surface, top and bottom. • For heavier dirt and stains, wipe with a cleaning cloth that’s been lightly moistened with warm water and mild soap; wipe again with plain water. • To eliminate mold and mildew, wipe with a mixture of 25% white vinegar and 75% water, then wipe again with plain water. 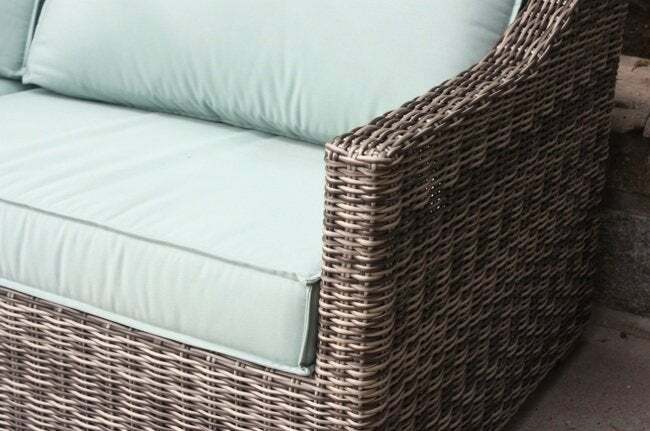 • Before replacing the cushions, allow wicker to dry thoroughly in the sun; alternatively, use a hair dryer to hasten the process. • An effective all-purpose cleaning solution for outdoor wicker furniture is 1/4 cup of liquid dish soap and two cups of warm water. Wipe the wicker with a soft cloth or sponge, then rinse away the soapy suds with a garden hose. For mold and mildew removal, add one cup of white vinegar to the solution. • For tough dirt and stains, use the same solution in combination with a soft brush; an old toothbrush will help you get into the nooks and crannies. Afterward, make sure to rinse thoroughly with plain water and dry thoroughly. • When outdoor wicker is extremely dirty, use a handheld steam cleaner (view example on Amazon). Once you’ve steam-cleaned the entire piece, dry it thoroughly with a hair dryer (otherwise, the wicker may bend or become deformed). For the very best results, steam-clean wicker furniture on a sunny, windy day to ensure quick drying. • Avoid damaging wicker furniture by being careful not to press too hard on its slats. • If you have damaged or broken slats, make repairs with wood glue (e.g., Titebond), allowing ample time for the glue to dry before continuing to clean. Of course, if the damage is extensive, you may have to take the piece to a professional. • Do not use a stiff brush, a steel wool pad, or any harsh abrasives on wicker. Doing so could severely damage unfinished, natural wicker and could remove the protective finish from a lacquered piece. • Never saturate or let water pool on wicker, as moisture can result in either spotting or deformity, or both. Just a modicum of regular maintenance and cleaning will ensure that your wicker furniture and accessories provide many years of comfort and enjoyment.